held at Victoria High School on Saturday last week. MASVINGO – More than 75 sports and fitness enthusiasts converged at Victoria High School on Saturday last week for sporting exhibitions for the Masvingo residents and pupils. 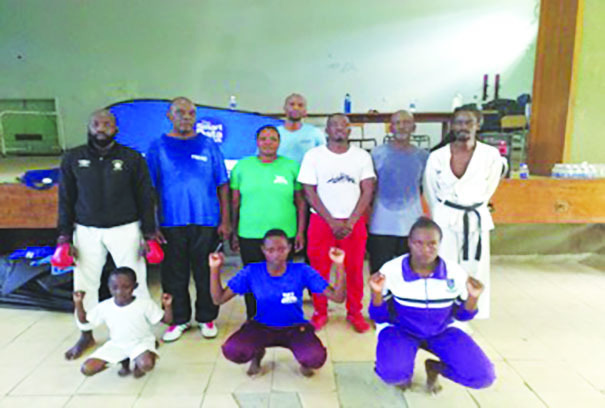 The sporting exhibitions were organized by Masvingo Fitness Centre director Sensei Douglas Machingauta and participants ranged from those as young as five years up to 60 year olds who took part in various fitness activities as part of the preparations for the National Youth Games. During the session participants were taught how to use dumbbells, punching pads and boxing gloves were introduced for purposes of fitness. “Our main objective is to keep the residents fit so that they become more productive and alert at work and school. Considering the skyrocketing prices of medication it is a huge advantage to keep fit as it means less visits to the hospital,” said Sensei Douglas who holds a Black Belt in karate. 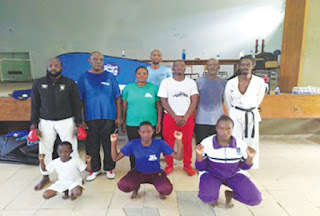 He added that aerobics are not expensive as one only requires a tracksuit, T-shirt and sneakers to perform the exercises. The exhibitions were graced by Masvingo City Council community and housing director, Levison Nzvura as the guest of honor who promised that the next event will see all Council run schools attending for the aerobics to become a culture among the kids. “I want to thank Laxdom Investments, businessman Taurai Mangwiro, Masvingo Fitness Centre members, parents and guardians for supporting our event to become a successful one,” said Sensei Douglas. Masvingo Fitness Centre was established in 2017 and is housed at CSC Complex where they do their sessions on daily basis. Sensei Douglas also took the opportunity to showcase some of the activities that they do at the Centre as well as doing some drills for the audience with the members who attended. The Centre’s aerobics class also comprise of MURRA director Anoziva Muguti, Daniel Mugabe of Masvingo Messenger of Court and CSC branch manager Enias Sadzauchi among others.